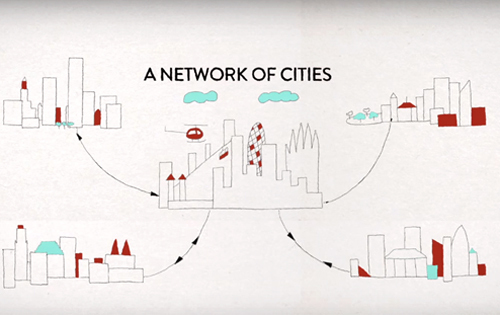 Determined to achieve a city for the people, Barcelona is opting for a city model based on renewable energies, sustainable transport and new technologies. That is why Barcelona City Council has decided to launch this initiative, to provide the city with a technological solutions and services platform that enables a fast, efficient and reliable integration of the various sensors distributed throughout the city and the various databases and repositories of information (on both business and the city) derived from numerous sources and in heterogeneous formats. The City OS initiative involves the creation of a technological platform, with a series of features that enable the city’s various projects to be securely and efficiently managed and operated. This platform is meant to enable the knowledge of the city's various services to be managed both horizontally (between services) and vertically (up to a comprehensive supervision centre). Technically, the series of features have to be based on open technologies that meet market standards and ensure their scalability. In addition, technological architecture is intended to enable currently productive services and platforms to be integrated and to ensure the integrity of data, through the construction of a secure and consistent distributed and heterogeneous system : big data Barcelona (City DB).